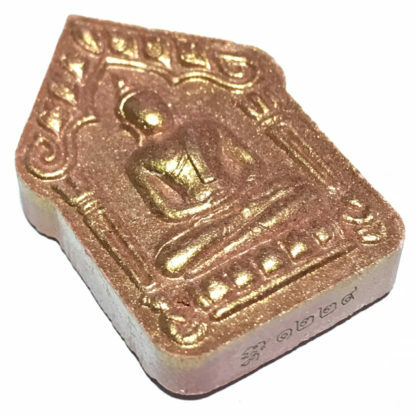 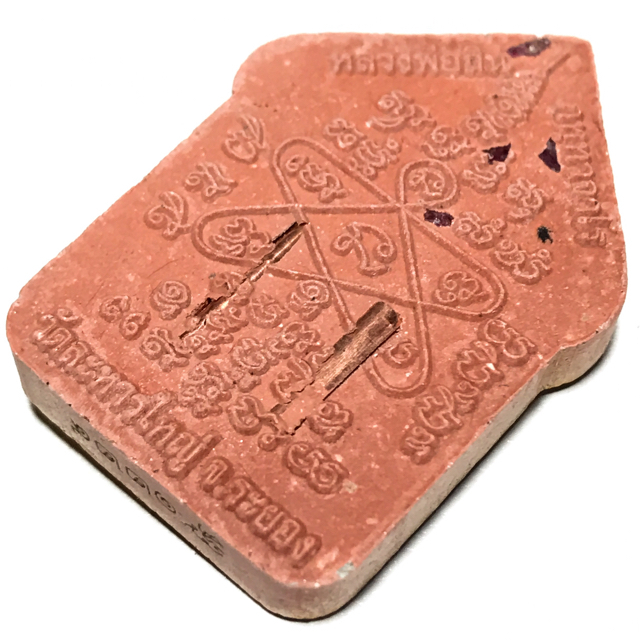 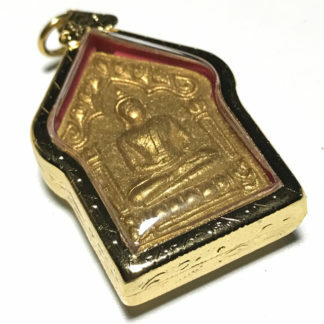 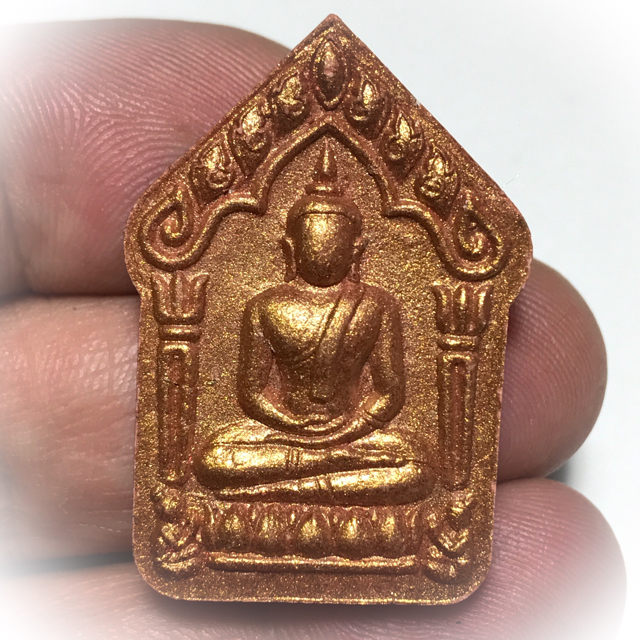 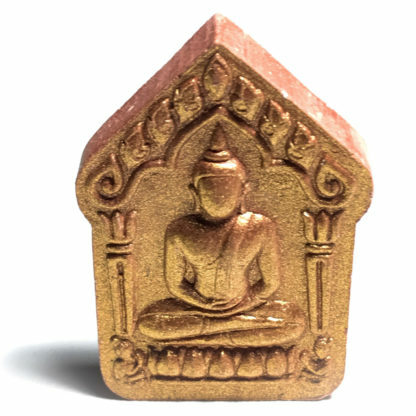 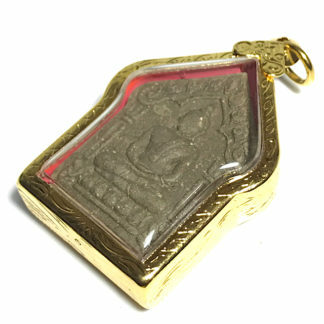 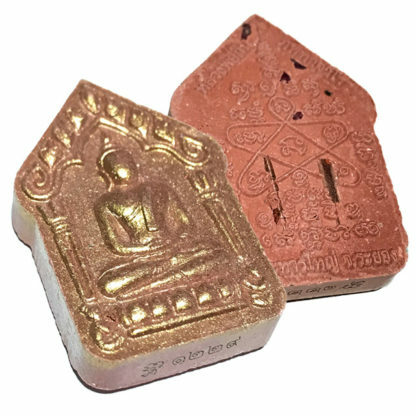 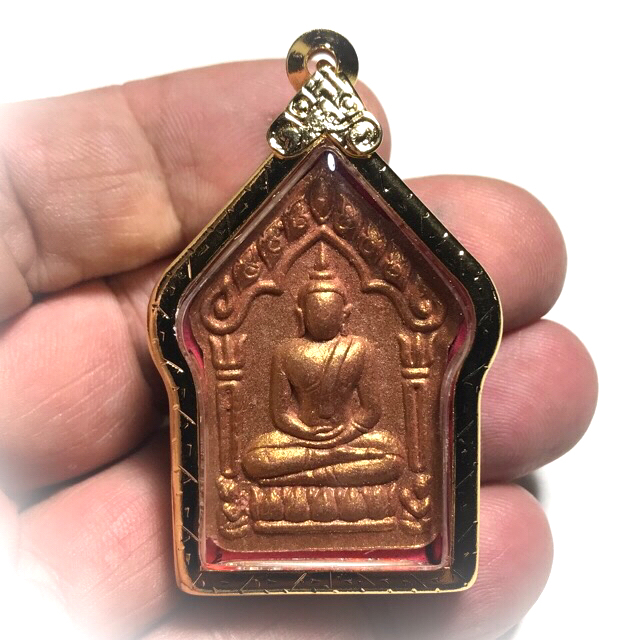 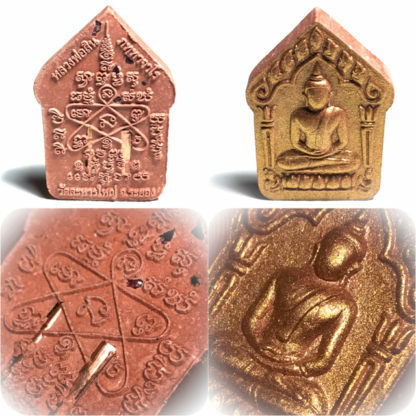 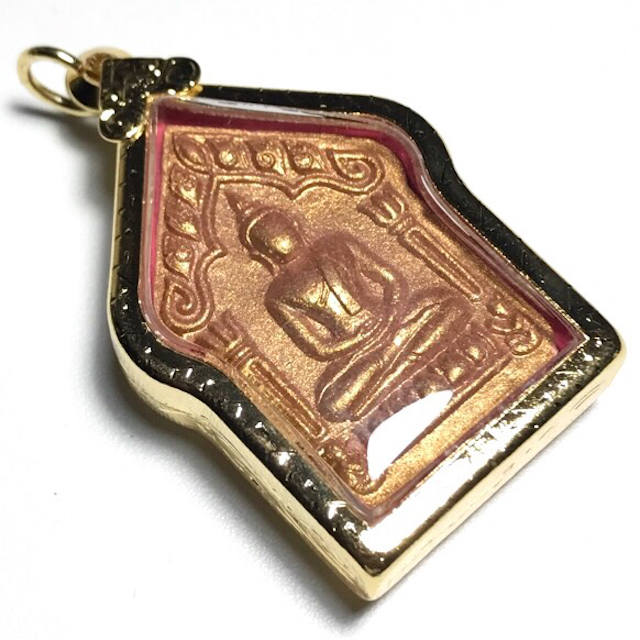 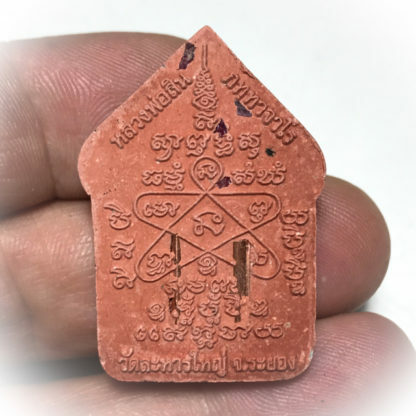 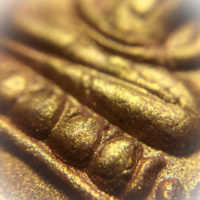 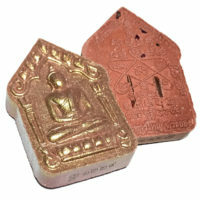 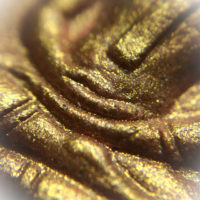 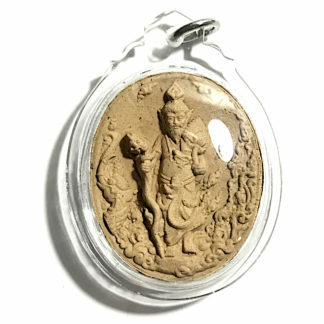 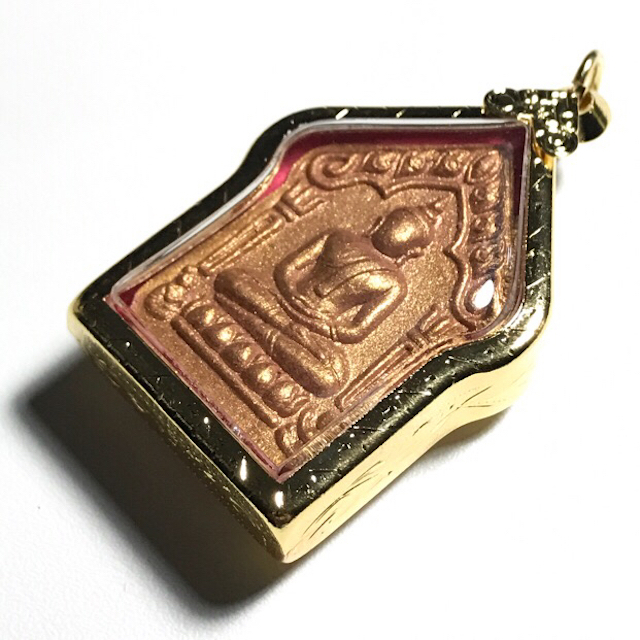 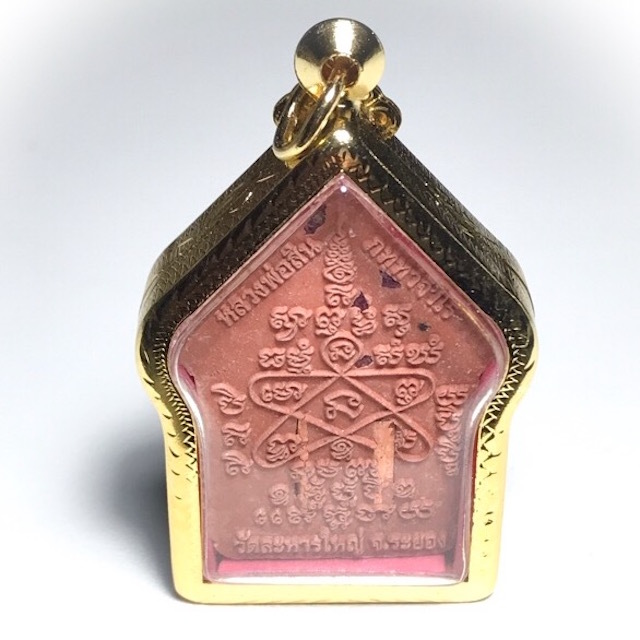 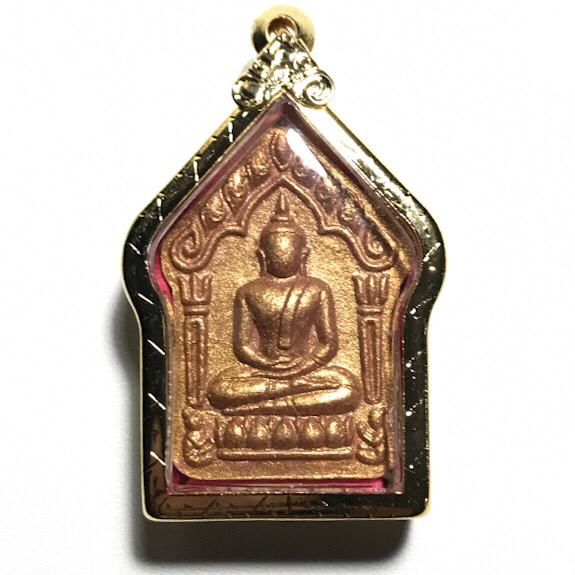 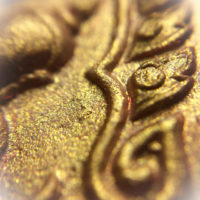 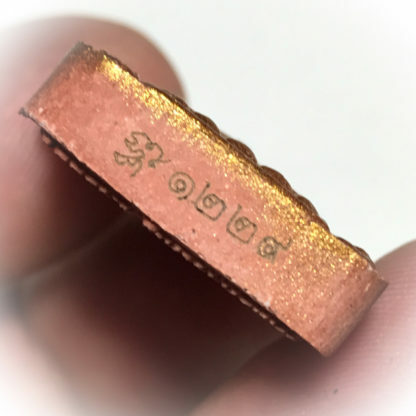 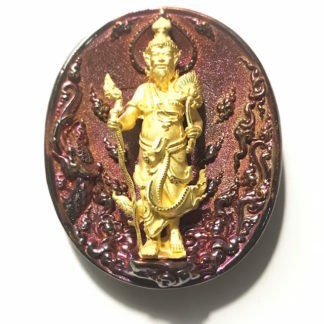 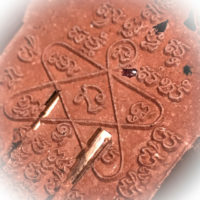 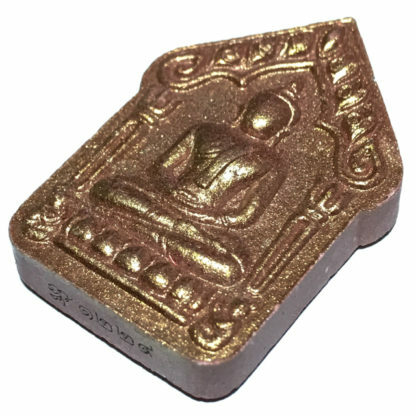 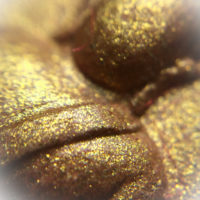 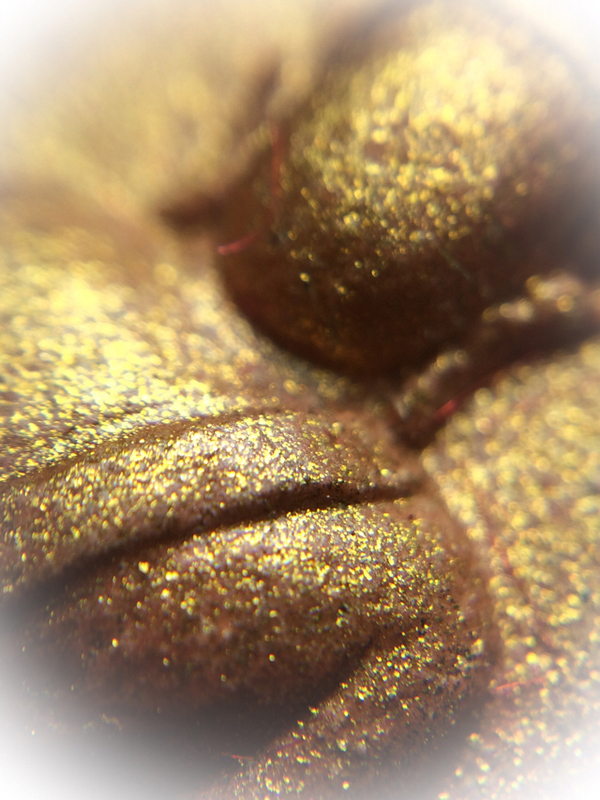 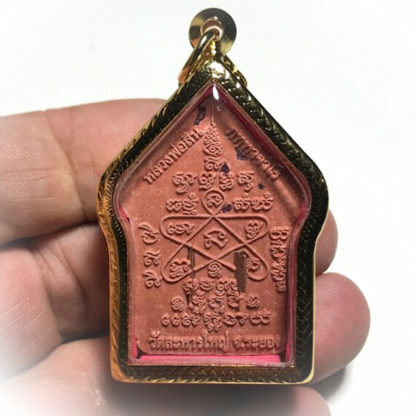 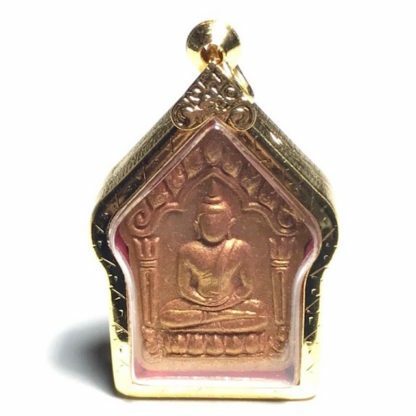 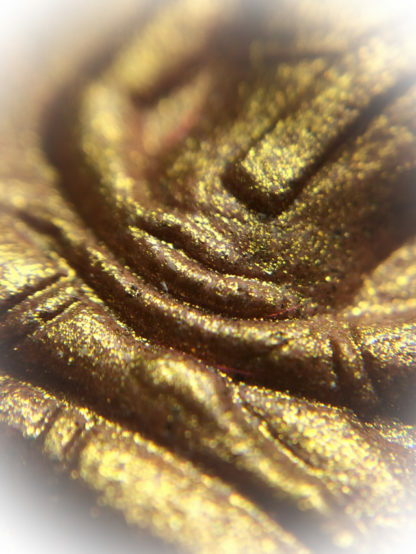 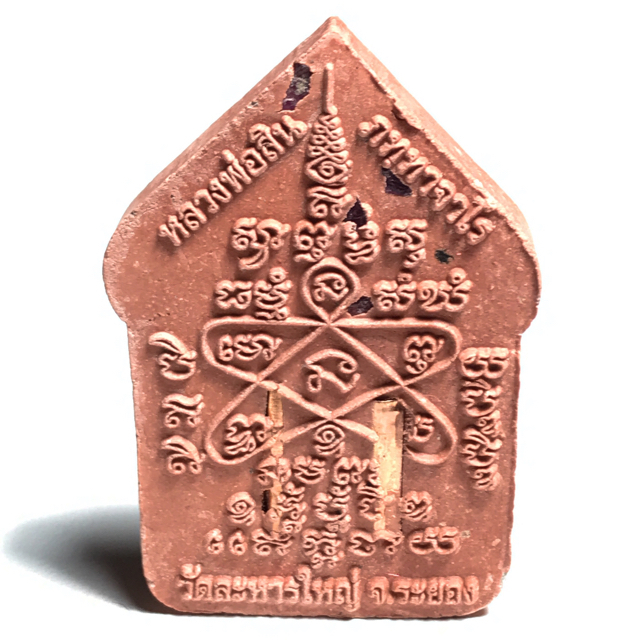 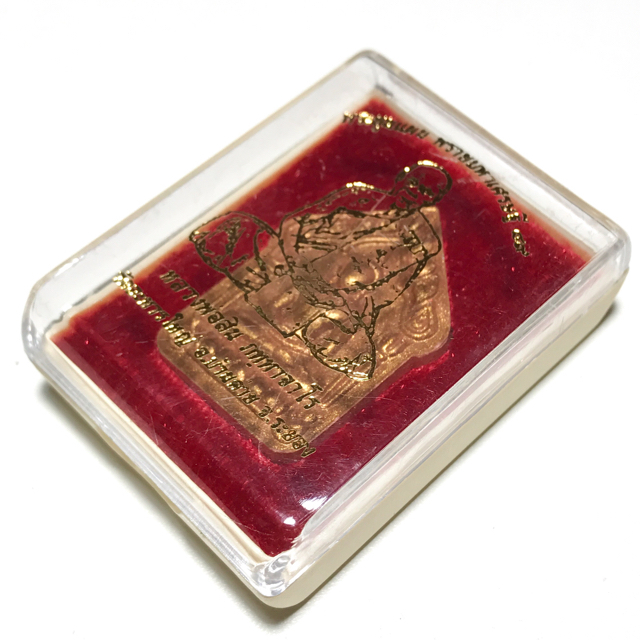 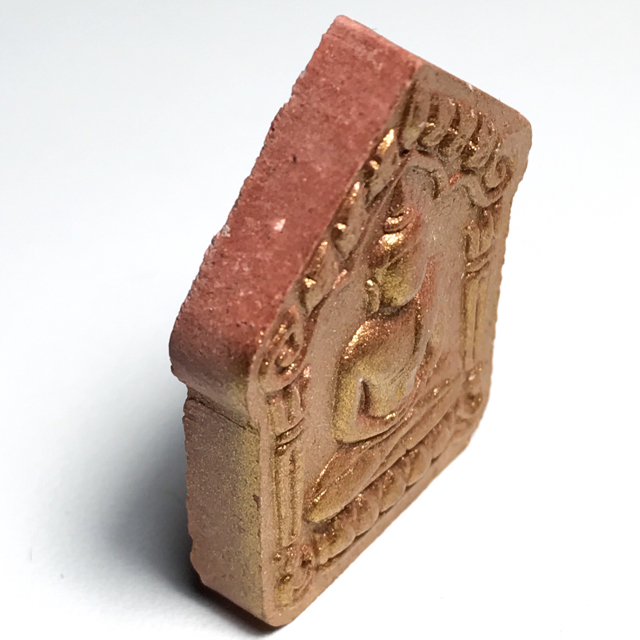 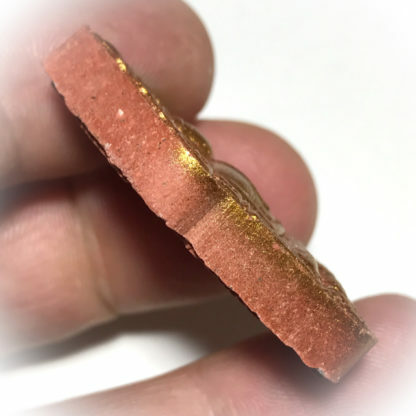 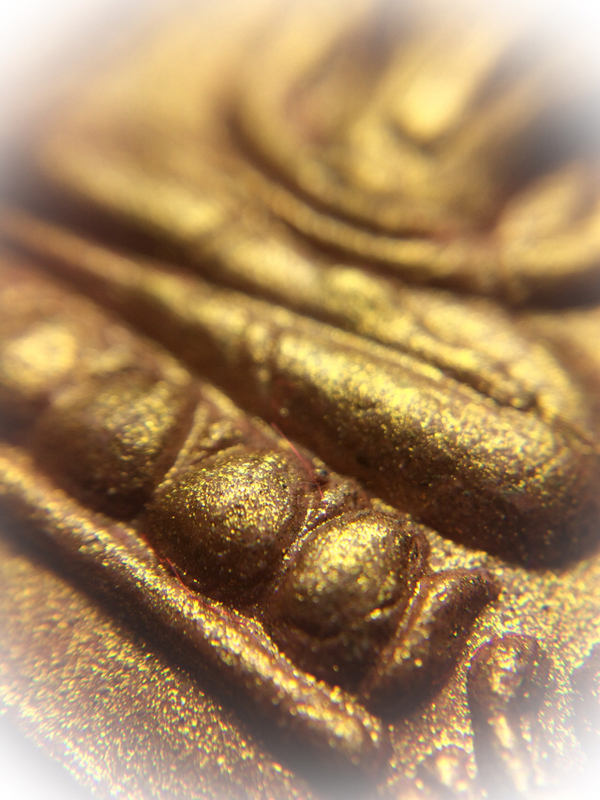 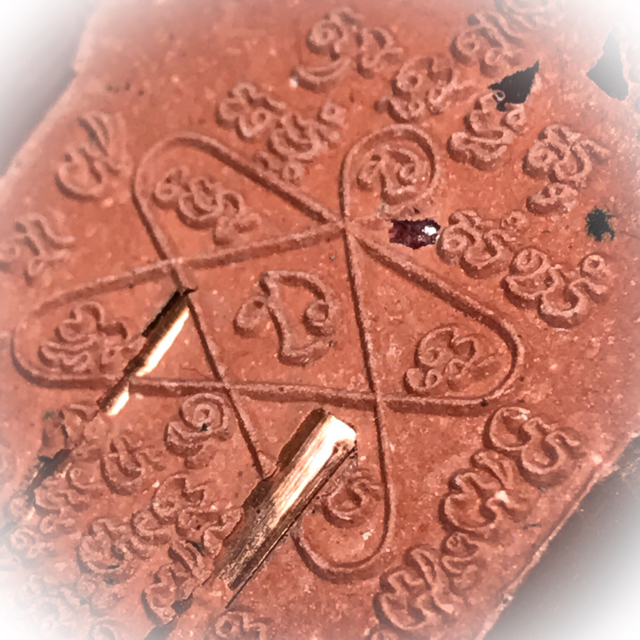 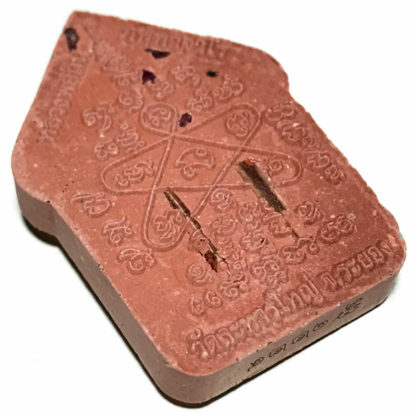 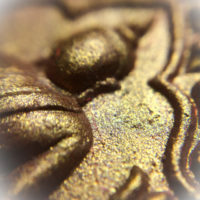 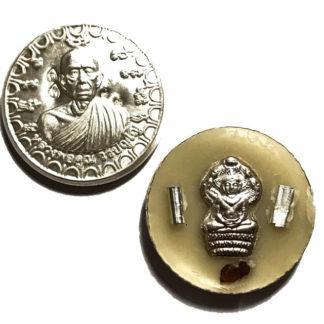 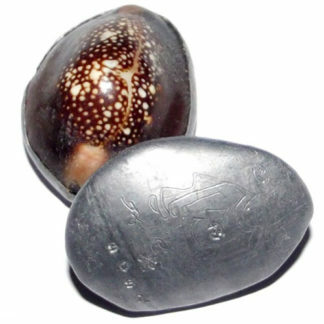 Pra Khun Phaen Sacred amulet from Luang Por Sin of Wat Lahan Yai, in Nuea Wan Sabu Luead Bloodsoap Herb Red Powders, mixed with Prai Kuman powders, with Bronze Coated front face, a Double Takrut Tong Daeng (Bronze/Copper), and Ploi Sek Gemstone fragments spinkled into the rear face. 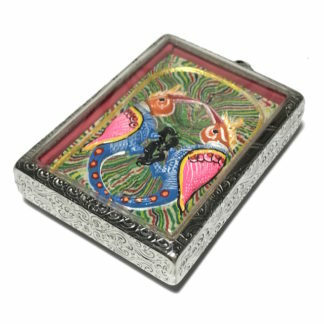 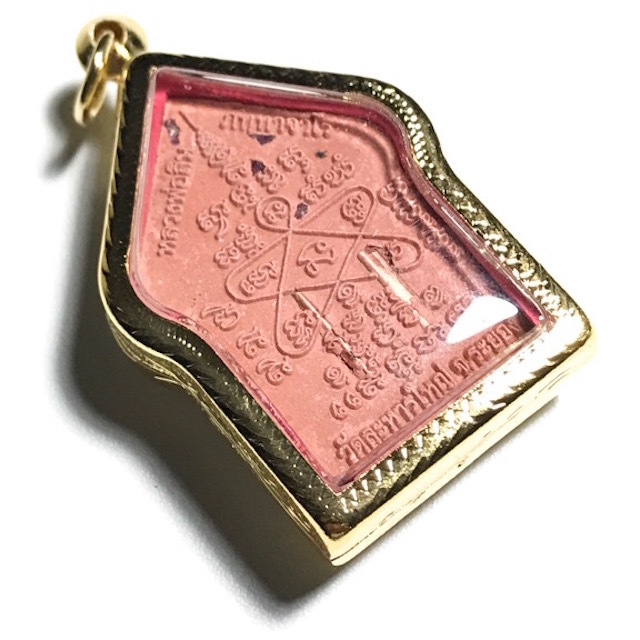 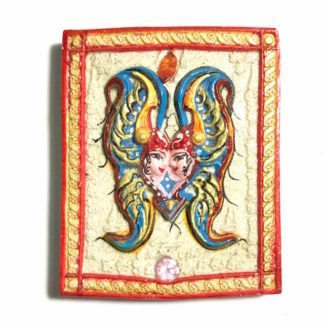 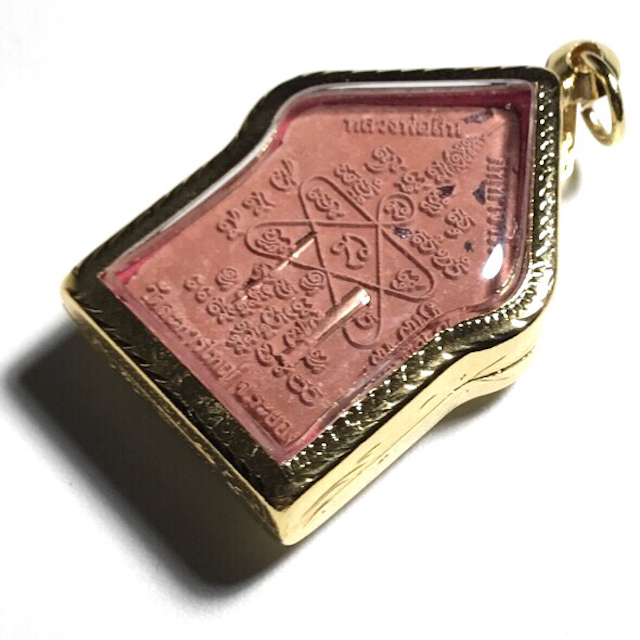 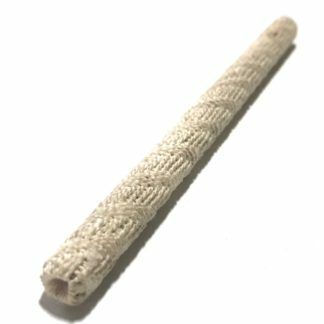 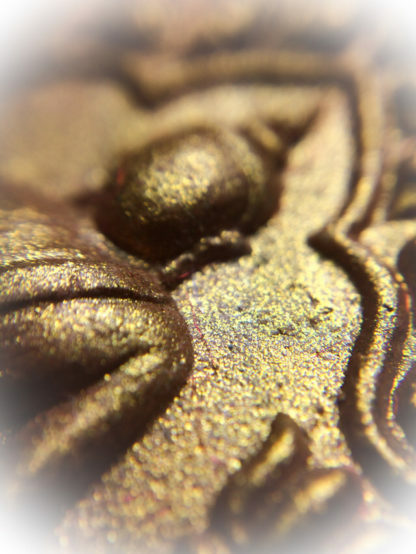 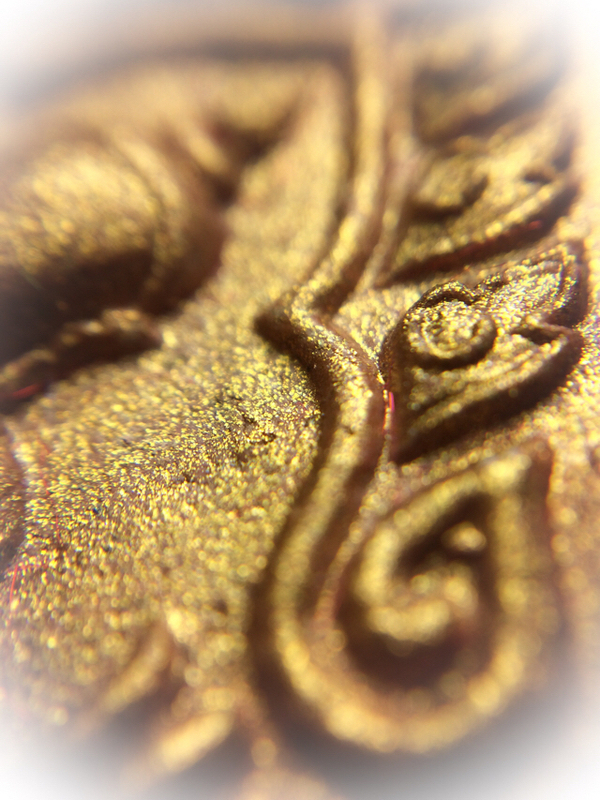 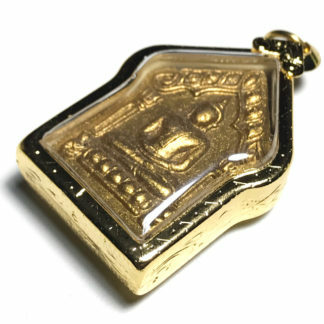 The amulet comes with brass casing included. 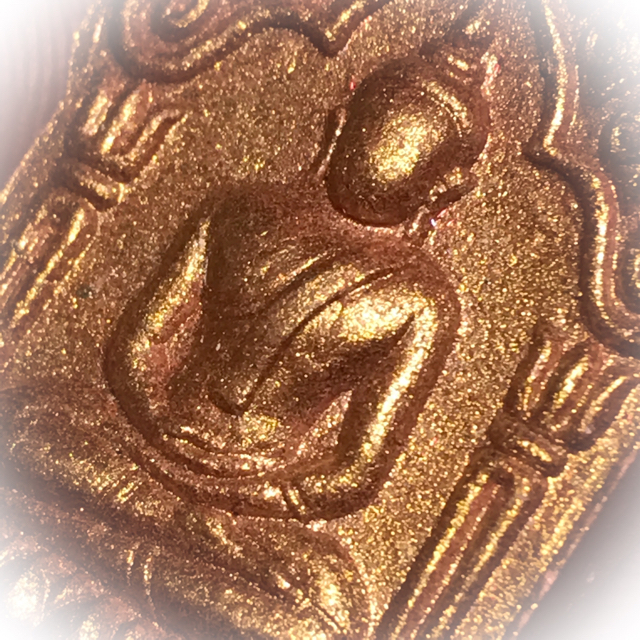 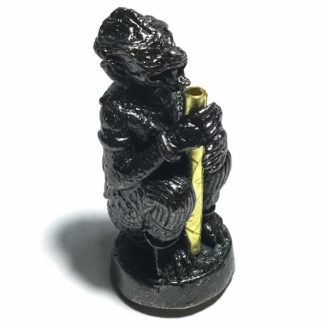 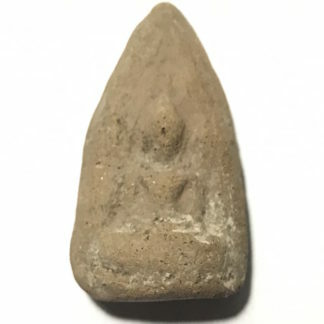 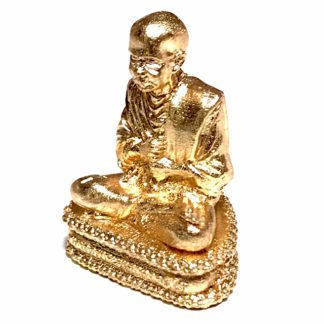 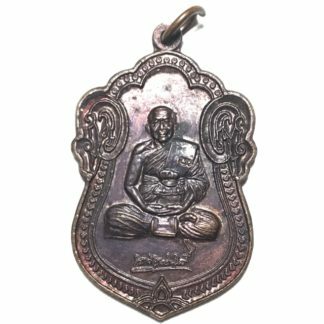 The front face features the image of a Buddha seated in meditation posture and is a Pim Yai measuring 4 x 2.7 Cm Blessed in solo empowerment session after a 3 month Traimas period of empowerments, in the shrineroom of Wat Lahan Yai, by LP Sin.